BEST PRICE OCEAN FRONT UNIT! TURN KEY UNIT ! BEST DEAL ON THE MARKET! DIRECT OCEAN VIEWS ! ITALIAN CERAMIC FLOORS THROUGHOUT / REMOTE CONTROLLED WINDOW TREATMENTS / ITALIAN CLOSETS. BEST PRICE ON THE MARKET ! WILL NOT LAST ! 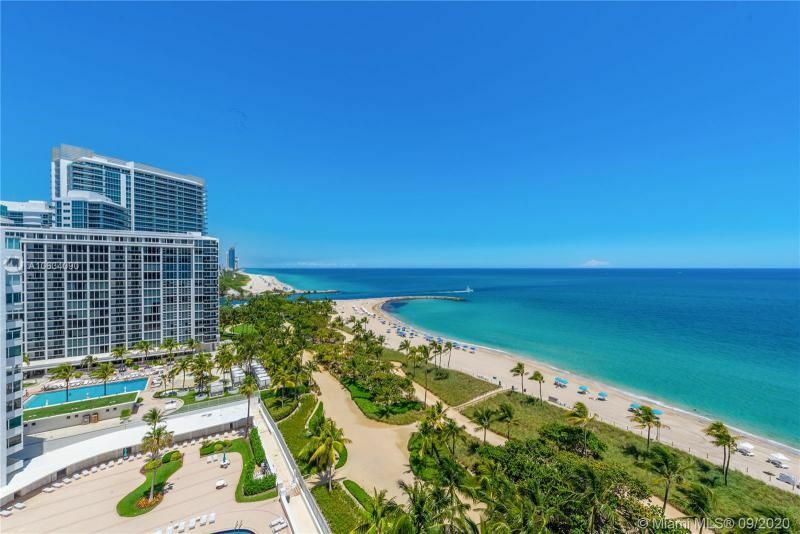 PANORAMIC DIRECT OCEAN VIEWS / 2 BEDROOMS PLUS DEN / 3 FULL BATH / TOP OF THE LINE GAGGENAU APPLIANCES AND KITCHEN CABINETS / PRIVATE FOYER/ DEN/. STATE OF THE ART AMENITIES: 2 TENNIS COURTS/ RESTAURANT / BAR SPA / FITNESS CENTER / 2 SWIMMING POOLS / BEACH & POOL SERVICE / MOVIE THEATER / SOCIAL ROOM / KIDS ROOM / CONCIERGE / VALET / 24 HOURS SECURITY. MIAMI Association of REALTORS® is not responsible for the accuracy of the information listed above. The data relating to real estate for sale on this website comes in part from the Internet Data Exchange Program and the South East Florida Regional MLS and is provided here for consumers' personal, non-commercial use. It may not be used for any purpose other than to identify prospective properties consumers may be interested in purchasing. Real estate listings held by brokerage firms other than the office owning this website are marked with the IDX logo and detailed information about them includes the name of the listing brokers. Data provided is deemed reliable but not guaranteed. Copyright MIAMI Association of REALTORS®, MLS All rights reserved. This property is courtesy of One Sotheby's International Realty.